Halloween seems to sneak up on me every year!! I have never been a huge fan of the holiday, but since my kids have gotten older I have given in and we do some decorating and a few crafts every year. 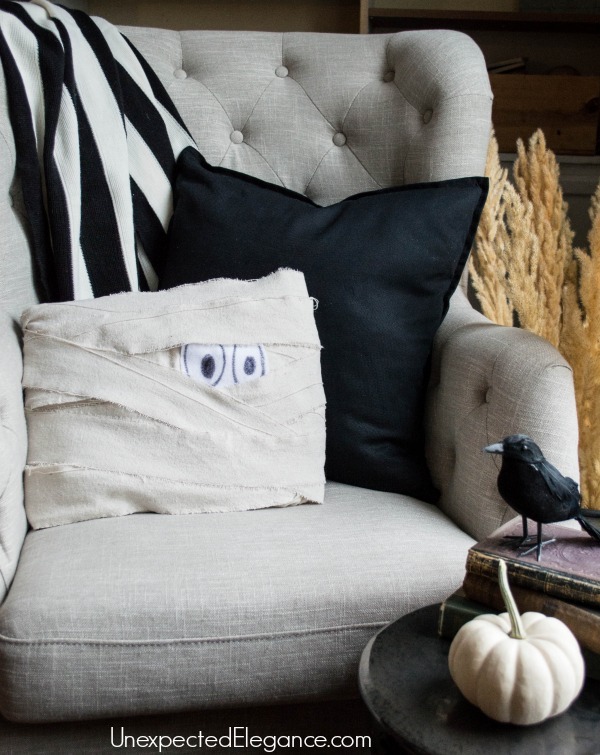 I like quick changes for Halloween that are cheap…because I only leave these decorations up for two weeks tops. 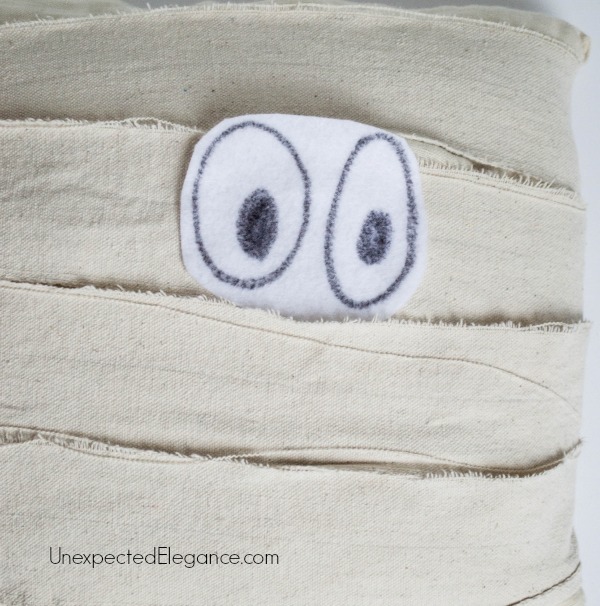 This DIY MUMMY Pillow is one of my favorites! 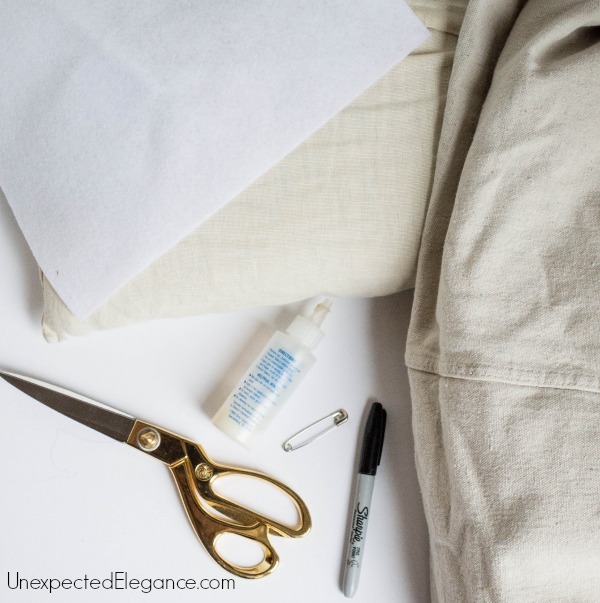 Supplies: small pillow (preferably white or off-white), light colored fabric (I used a drop cloth), scissors, black marker, and a few safety pins. 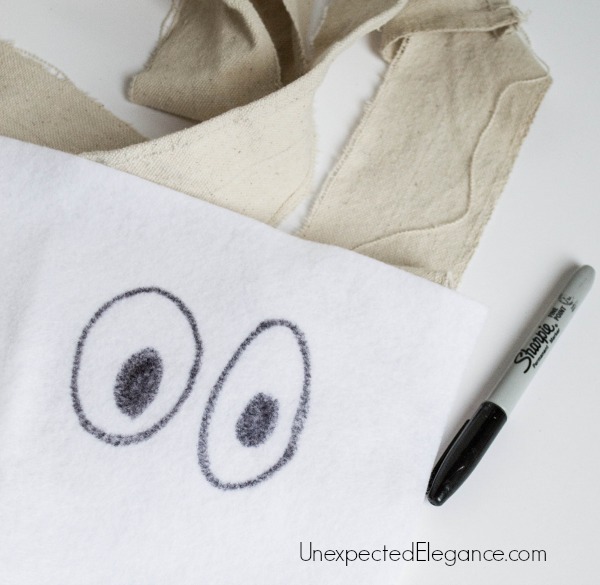 Optional: white felt and fabric glue. Start by cutting the fabric into a few long strips. (It’s best to “rip” the fabric strips.) 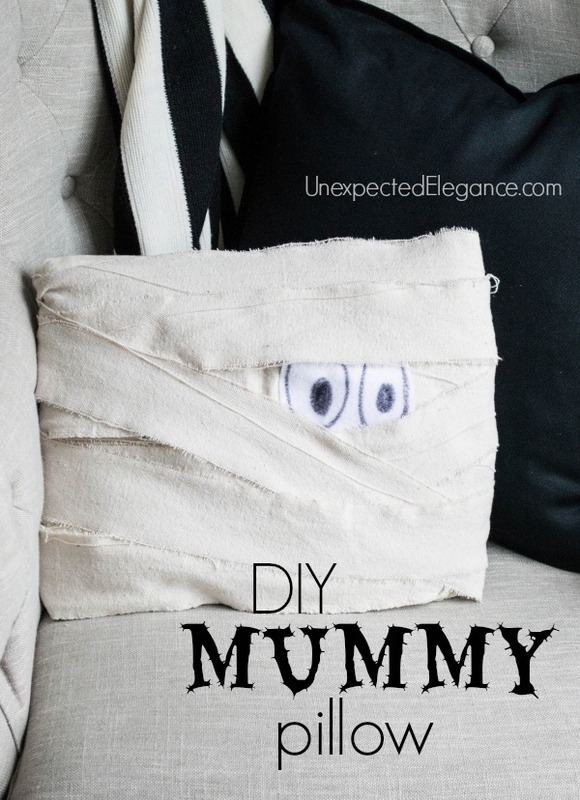 Completely wrap the pillow one time in a strip and use a safety pin to secure it on the back. 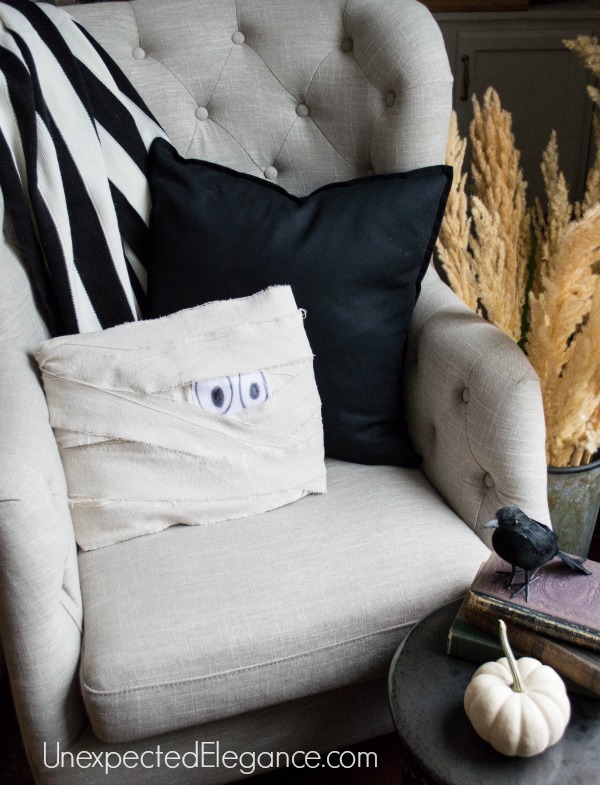 Finally, wrap a second layer of fabric around the pillow and leave a small opening for the eyes to “pop” out! Secure the ends with safety pins and you’re finished. I had all the supplies, so this project was free and only took about 10 minutes to put together. 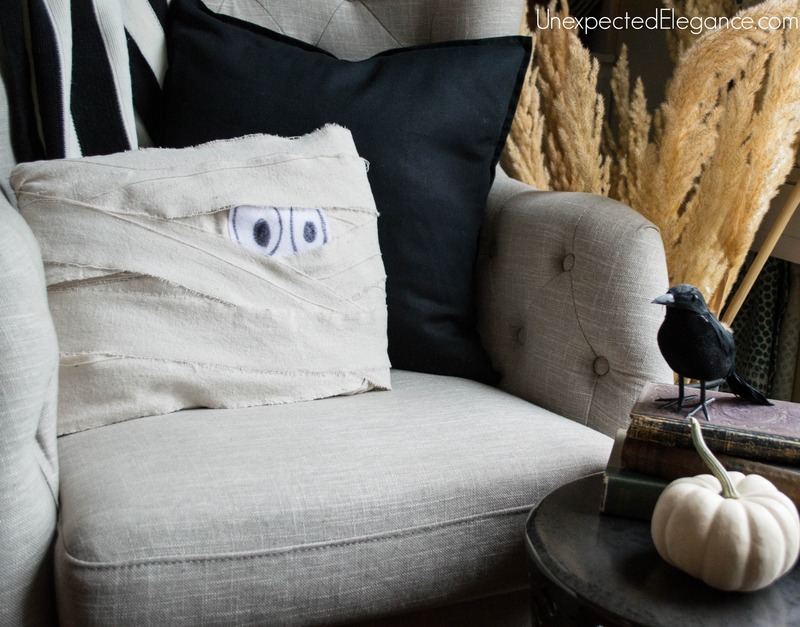 It’s a fun little addition and can be easily removed after Halloween.